A repository for my scriblings and sketches, as well as actual photographs. What would my homepage be without Bic Scripto's Official Apple Sauce Brain Man archives? Number One we learn the prehistory of our hero. Number Two where it is revealed his seedy origin. Number Four declares himself the King of Goats. Number Seven explores the history of comics. Number Eight dabbles in virtual reality. Number Nine goes mad with power and takes over the world. Finally on the web! Photographed at last! It's Jian, Mike, Murry, David, Josh, Evan, Erik, Autumn, and Erica all the same picture! AND read the Josh Cragun's exclusive interview at früvous dot com. 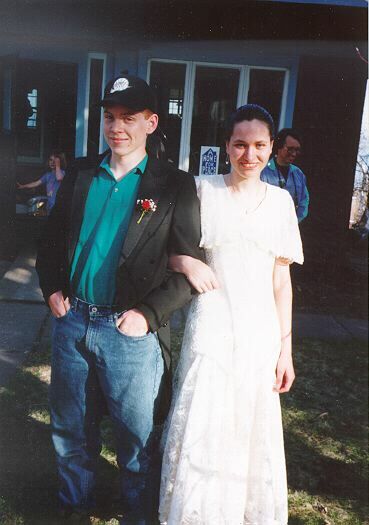 Rain and Zach around Prom time, 1994. 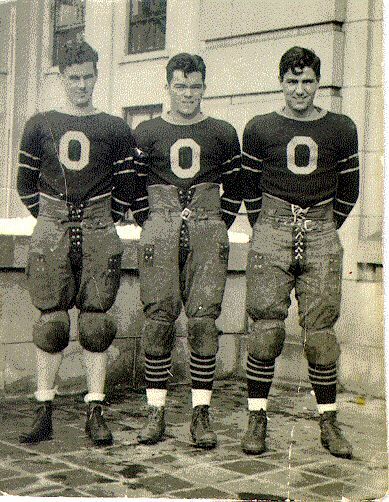 Dan Sweeney (center) in this rare photo, suited up for a non-golf sport.